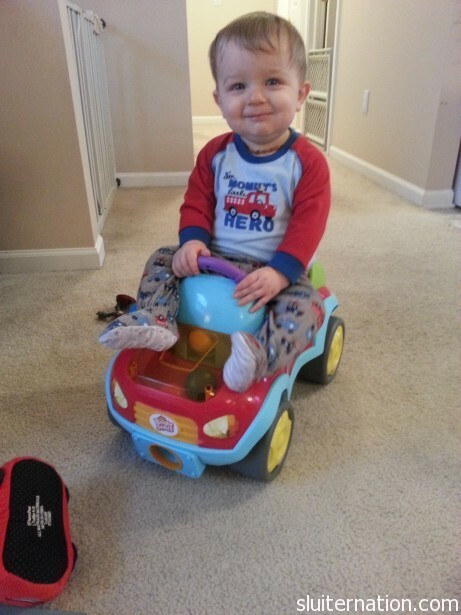 January 13: 10 months old! 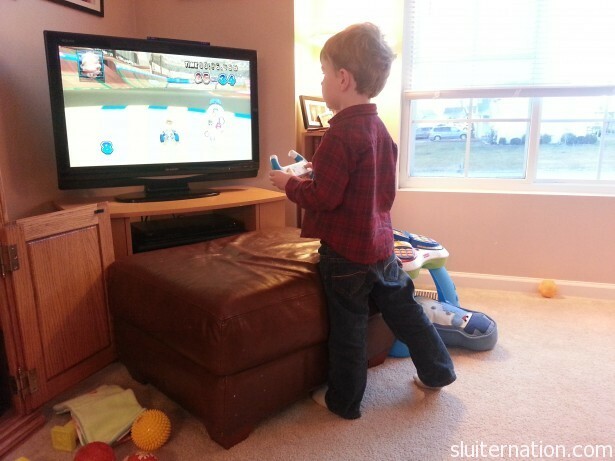 January 14: He is getting so good at Mario Kart…it’s sort of scary. 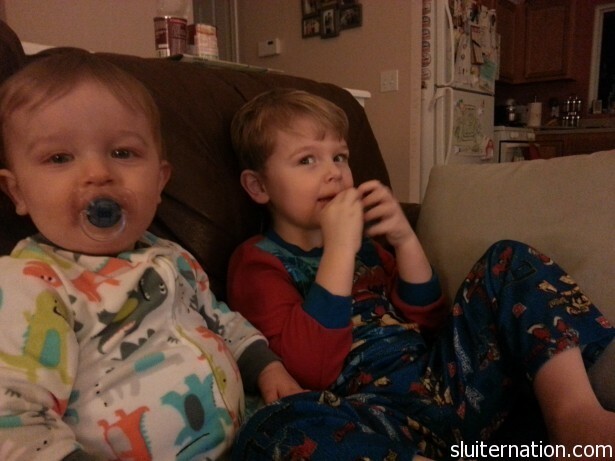 January 15: Boys in jammes! 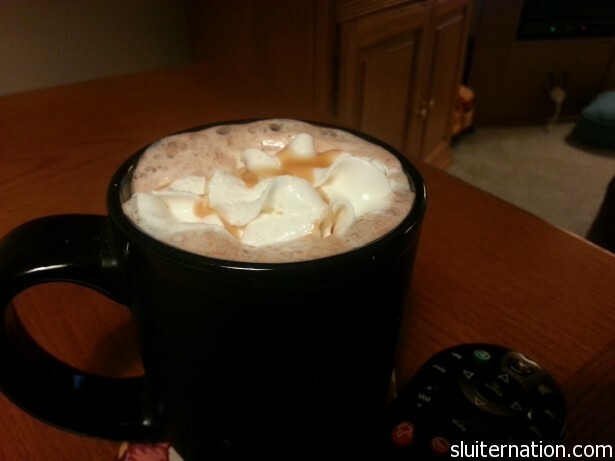 January 16: Found Starbucks Salted Caramel Hot Coco at the grocery store. GET IN MY BELLY! 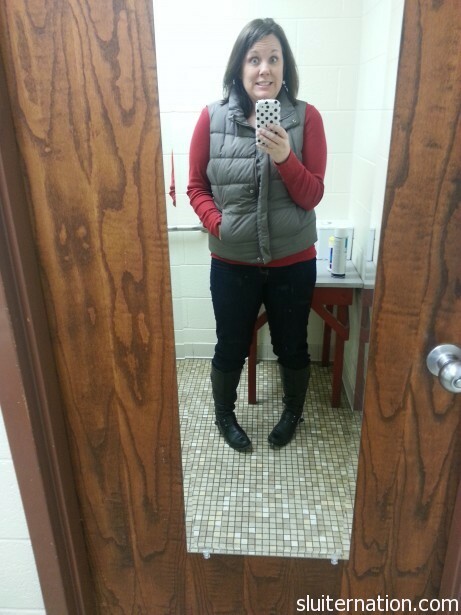 January 17: My first pair of skinny jeans. I am nervous about this. 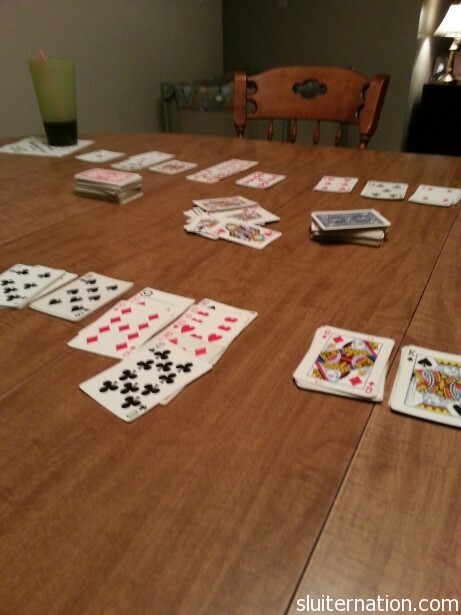 January 18: Late night of Hand and Foot with some of our best friends. 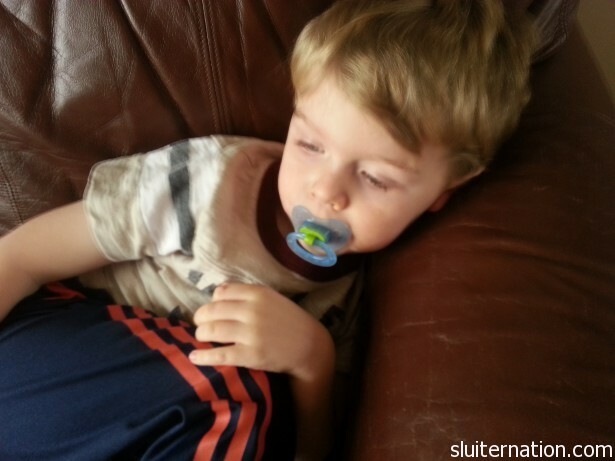 January 19: Eddie’s last day with Pipey (aka his pacifier). He did great sleeping without it at nap and at night. Big small moments in the House of Sluiter this week, as you can see. Charlie turned 10 months officially sending me in panic mode about his being that much closer to a year. And Eddie gave up Pipey this week. Just small moments in terms of the rest of the world, but pretty huge moments around here. I have a feeling 2013 is the year of big small moments. Double yay for Pipey-free Eddie!